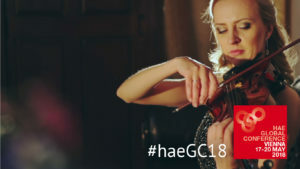 We are excited about the 2018 HAE Global Conference in Vienna from 17-20 May 2018. We have had such a great response to the conference that the allocation of travel grants has been exhausted at this time. If more become available we will let you know.